Watching other people play videogames has become a multimillion-dollar industry several dozen times over. Top professional gamers compete in massive arenas packed with fans. 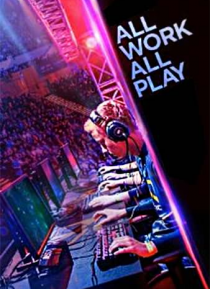 ALL WORK ALL PLAY follows Season Nine of the Intel Extreme Masters, the world's pre-eminent global pro-gaming tour. As the scene explodes in popularity, players as young as seventeen are dropping everything to go pro.